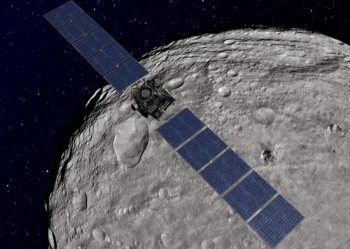 NASA’s Dawn spacecraft has completed its historic arrival at the dwarf planet Ceres. With the completion of a multi-year mission and journey, Dawn slipped into Ceres orbit on Friday (March 6) to become the first human-made object to enter orbit of two separate celestial bodies and the first-ever human object to visit one of the dwarf planets of our solar system. As sometimes happens in space flight, the lead up to the Dawn mission began with a series of initial cancellations and reinstatements. Particularly, the Dawn mission was cancelled in December 2003 and then reinstated in February 2004 before NASA placed all work on the mission in “stand down” mode in October 2005 and indefinitely postponed the mission in January 2006. 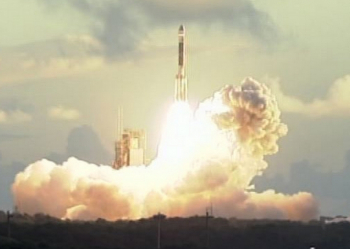 On 2 March 2006, NASA officially cancelled the Dawn mission. Following this announcement, Orbital Sciences Corporation – prime contractor for the Dawn spacecraft – agreed to build the spacecraft for cost and forego any profit in order to gain experience in the process of building long-range space exploration craft. 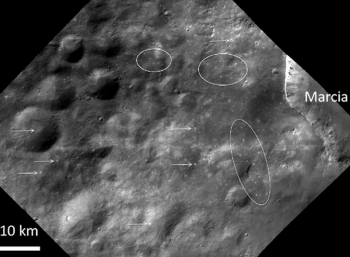 With this new offer, NASA officially placed Dawn’s cancellation “under review,” and on 27 March 2006 announced that the mission would indeed proceed forward. 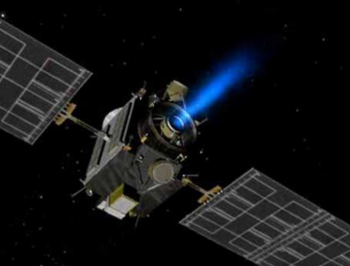 With the mission given its final green light to proceed, Dawn became the first mission planned to enter orbit of two different protoplanetary bodies in the asteroid belt of the solar system. What was not known in March 2006 was how the International Astronomical Union (IAU) would change the landscape of the Dawn mission later that year. On 24 August 2006, the IAU officially defined “planet” for the first time and with that coined the new definition of “dwarf planet” for ellipsoidal worlds too small to qualify for planetary status by “clearing their orbital neighborhood” of other orbiting debris. This meant that Dawn was now planned to not only be the first human-made object to enter orbit of two different celestial bodies, but also the first-ever human object to visit a dwarf planet (as it will arrive four months prior to New Horizons’ arrival at Pluto in July 2015). Ceres’ official status notwithstanding, the Dawn mission itself was designed to study two large bodies (Vesta and Ceres) in the asteroid belt to help answer questions about the formation of the solar system. As described by NASA, “The three principal scientific drivers for the mission are first that it captures the earliest moments in the origin of the solar system, enabling us to understand the conditions under which these objects formed. “Second, Dawn [should determine] the nature of the building blocks from which the terrestrial planets formed. The two principal objective targets, Vesta and Ceres, were chosen in no small part because they formed very early in the history of the solar system and thus retain an undeniable record of the processes from the time of formation of the terrestrial inner planets. More specifically, the mission hopes to characterize the role that size and water played in determining the evolution of the protoplanetary masses of the asteroid belt – information which can then be applied to the theories surrounding the formation processes of the inner planets. To accomplish these scientific objectives, Dawn was constructed with length of 2.36 m (7.7 ft) and a total solar array extended length of 19.7 m (65 ft). Due to the unique nature of having to enter orbit of two different planetary bodies and therefore also leave one planetary body’s orbit, Dawn was equipped with three xenon ion thrusters inherited from the NSTAR engineering technology from the Deep Space 1 mission. To power these thrusters, Dawn’s propellant tanks were designed to hold a total of 425 kg (937 lbs) of xenon to allow a velocity change of more than 10 km/s over the course of the mission. Additionally, Dawn was fitted with 12 0.9N hydrazine thrusters for attitude control and assistance with orbital insertion activities. 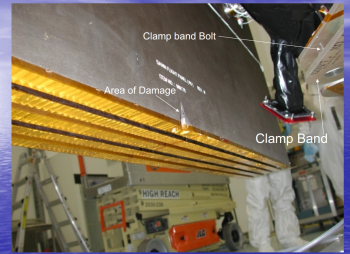 Moreover, the scientific teams planning Dawn’s mission fitted the spacecraft with a Framing Camera (FC), a Visible and Infrared spectrometer (VIR), and a Gamma Ray and Neutron Detector (GRaND). The FC included a 22mm aperture with an eight position filter, permitting panchromatic and spectral selective imaging capabilities. The camera was designed for resolution capabilities of 17 m/pixels at Vesta and 66 m/pixels at Ceres. The VIR was designed from similar instruments on the European Space Agency’s Rosetta and Venus Express spacecraft and NASA’s Cassini orbiter at Saturn. The GRaND instrument was similarly based on instruments from the Lunar Prospector and Mars Odyssey missions. Specifically, GRaND was equipped with 21 sensors, allowing a wide field of view to measure major rock forming elements on Vesta and Ceres as well as potassium, thorium, uranium, and water elements on the protoplanet and dwarf planet. With principal construction complete, Dawn arrived at the Cape Canaveral Air Force Station in Florida in April 2007 for final launch preparations. The launch was originally scheduled for 20 June 2007 but was delayed until 30 June due to postponements with part deliveries. A broken crane at the launch pad further delayed the mission’s commencement until 7 July. During these delays, one of Dawn’s solar arrays was slightly damaged due to a mishap in the spacecraft’s processing facility. 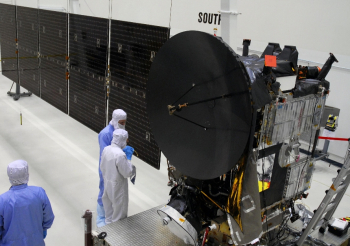 The damage did not have an affect on the spacecraft’s final processing or the launch date. Nonetheless, inclement weather caused a launch slip to 8 July before a Range tracking issue delayed the launch to 9 July and then 15 July. At this point, NASA made the decision to postpone Dawn’s launch until after the agency’s Phoenix mission to Mars could successfully get off the ground in the short two week interplanetary launch window for that mission. With Phoenix successfully away, Dawn’s launch was rescheduled for 26 September and then pushed back to 27 September due to bad weather. On 27 September, during the built-in hold at T -4 minutes, a ship strayed into the exclusion zone in the Atlantic Ocean. After a delay to allow the ship to leave the area, the launch team then had to wait until the end of a collision avoidance window with the International Space Station. Finally, at 07:34 EDT, at dawn at the Cape Canaveral Air Force Station on 27 September 2007, the Dawn mission finally launched from Pad-17B atop a Delta II 7925-H rocket. The Delta II rocket and its associated systems successfully boosted Dawn into an escape velocity and imparted a spin stabilization on to the spacecraft. Once the spacecraft successfully separated from its Delta II launcher, Dawn’s ion engines took over primary control of the mission’s velocity. Following an initial check out, Dawn began long-term cruise propulsion on 17 December 2007 and by 31 October 2008 had completed its first thrusting phase to send it on to Mars for a gravity assist flyby. Dawn reached the Red Planet on 17 February 2009 and continued on course toward Vesta – its first principal target. During the spacecraft’s first interplanetary cruise phase, Dawn was under powered cruise from its ion engines for 270 days or 85% of its first cruise duration. The long burn of the ion engines resulted in an increase in velocity of 1.81 km/s. Just 34 days prior to arrival at Vesta, mission controllers began reducing Dawn’s relative speed toward the protoplanet and began thrusting its ion engines to support orbital insertion around Vesta at 05:00 UTC on 16 July 2011. Unlike previous interplanetary missions where the exact timeline of orbital insertion is known down to the second, Dawn’s orbital insertion timeline at Vesta could not be completely confirmed prior to the spacecraft’s arrival since Vesta’s mass distribution was not precisely known at the time and could only be estimated. 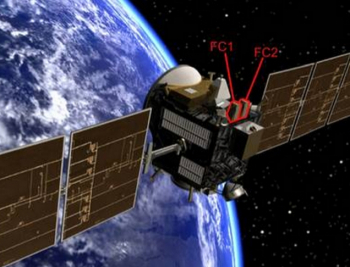 During the time of gravity capture, Dawn’s antenna was pointed away from Earth to due the spacecraft’s orientation needs for thruster firings. Therefore, mission controllers were not able to immediately confirm whether or not Dawn had been successfully captured by Vesta’s gravity. It was not until 06:30 UTC on 17 July that Dawn successfully reoriented itself and checked in with mission controllers to confirm its arrival at Vesta. 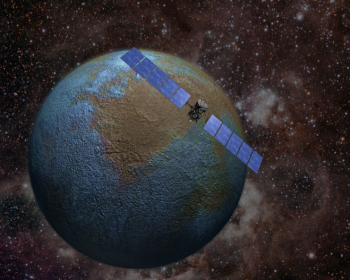 Following its successful arrival and checkout phase, Dawn entered its Vesta survey orbit from 11–31 August 2011 before repositioning itself through thruster firings into its Vesta first high altitude orbit from 29 September – 2 November 2011. Dawn then maneuvered to its Vesta low altitude orbit from 12 December 2011 – 1 May 2012 before boosting its orbit again to its Vesta second high altitude orbit from 15 June – 25 July 2012. This second high altitude orbit was designed to complete mapping operations of Vesta while preparing the spacecraft for its Vesta departure maneuver scheduled for August 2012. Originally scheduled to depart Vesta for its 2.5 year journey to Ceres on 26 August 2012, a problem with one of Dawn’s reaction wheels forced mission controllers to delay its departure from Vesta until the issue could be resolved. 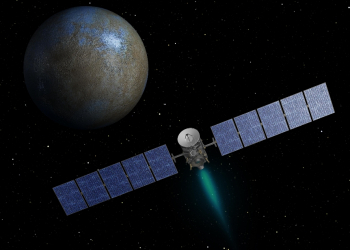 On 5 September 2012, Dawn successfully left Vesta’s gravity and began its historic trek toward Ceres. Of the numerous discoveries, observations, and confirmations made by Dawn during his time at Vesta, Dawn observed crevasses on the surface of Vesta that scientists believe came from transiently flowing liquid water – meaning that the water was in a changing state at the time it created the crevasses. NASA scientists were also able to show that Vesta is one of the last remaining examples of the large planetoids that smashed together to form the rocky inner planets during the formation of the solar system. 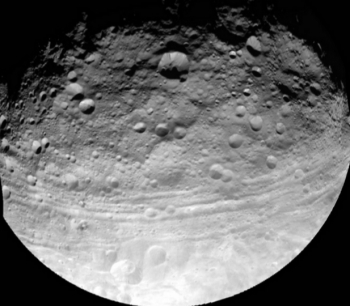 Additionally, Dawn helped show the cause of dark streaks and spots on Vesta’s surface as having come from deposits of ancient asteroid impacts. Dawn also created the first-of-its-kind geologic map of an asteroid belt body, allowing scientists to understand in great detail the various geologic formations and regions of the protoplanet Vesta. During the powered cruise phase to Ceres, mission controllers evaluated the spacecraft’s performance at Vesta and altered their plans for orbital operations at Ceres based on lessons learned. One of the largest lessons carried forward to Ceres is the use of the probe’s reaction wheels for close-range geographic survey mapping. 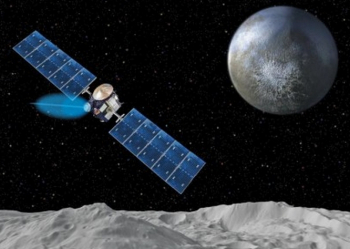 Instead of using the approach taken at Vesta, mission operators will place Dawn into a hybrid mode, utilizing both reaction wheels and ion thrusters during Ceres close-range geographic survey mapping operations. To test these procedures, Dawn’s engineers conducted a 27-hr series of exercises in the new hybrid mode on 13 November 2013. Dawn began unofficial proximity operations with Ceres on 1 December 2014 with the imaging of the dwarf planet’s extended disc. Partial rotation images of Ceres were captured on 13 and 25 January 2015, and on 26 January, Dawn’s cameras exceeded the resolution capabilities of the Hubble Space Telescope in terms of Ceres observations. On 12 and 19 February, two full rotation observation photographic sessions took place as part of the long-range global mapping campaign for Ceres. During this campaign, mission scientists were greeted with the unexpected surprise of a white glimmering area on Ceres, which could indicate the potential presence of a liquid or other highly reflective material on the dwarf planet’s surface. Like the probe’s arrival at Vesta, mission controllers were not in communication with Dawn when it is captured into Ceres’ gravity due to the orientation needs of the spacecraft’s thrusters at the time. However, JPL eventually received a signal from the spacecraft at 5:36 a.m. PST (8:36 a.m. EST) that Dawn was healthy and thrusting with its ion engine, the indicator Dawn had entered orbit as planned. This confirmation came after the spacecraft re-orients itself to re-establish communications with the Deep Space Network in Australia – a communication which will then be relayed to the mission’s control center. 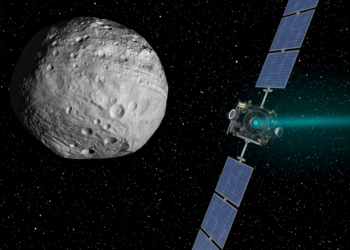 With orbital insertion occurring, Dawn will now spend its first 15 days completing one orbit of Ceres before performing a spiral down maneuver into a survey orbit to obtain global views and maps of the dwarf planet with its a visible and infrared mapping spectrometer.